Incoming CIO, Trish Torizzo found herself ​"staring at an IT operating model that was not in line with how the company is structured.​"
In a world of tablets, e-books and online courses, Houghton Mifflin Harcourt Co. (HMH) has the ultimate legacy product: printed classroom textbooks. The company says that isn't a sustainable business model. In essence, HMH wants to evolve from a traditional K-12 textbook publisher, founded in 1832, to a ​"global education company​" with fast-growing, high-margin products delivered in the form of software as a service. Trish Torizzo joined the Boston-based company as CIO in October 2017 to help make that transition, starting with changes in the IT department. ​"Coming in the door, there was a recognition that our company was radically transforming itself, and that the company's technology and technology department were going to need to change in step with that,​" she said, in an interview with CIO Dive. HMH's turnaround strategy is to surround the textbook with digital products aimed at student assessment and intervention, as well as teacher education, said Michael Cairns, managing partner at Information Media Partners, a consultancy in New York. Meanwhile, HMH is tackling ​"back-office technology improvements and efficiencies,​" Cairns said. 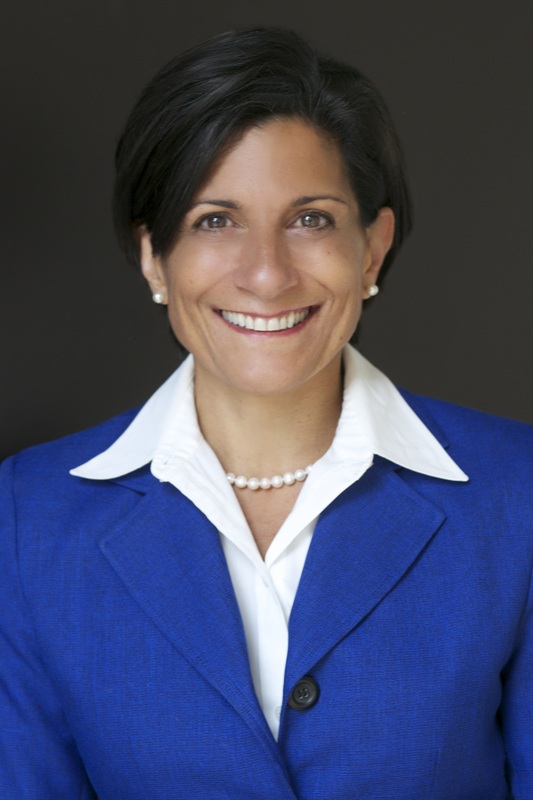 As an incoming CIO, Torizzo said she found herself ​"staring at an IT operating model that was not in line with how the company is structured.​"
It was an IT model better-suited to a much larger company, with a back office built for scale, not for serving the needs of HMH teams, such as marketing, sales, and finance, and lines of business. For example, a finance employee asking about the status of an IT development project would go to one IT staffer, but a finance employee asking why the accounts-payable report was stuck had to go to a different IT person, Torizzo said. Trying to draw lines connecting the IT teams with the business teams ​"looked like a big ball of spaghetti.​"
Torizzo revamped the operating model so that IT groups are clearly connected to each corporate unit. She said this ​"creates a structure that has business-facing functions for business alignment and accountability,​" plus a shared services layer for IT services like ERP that span multiple business functions. The new IT model was the result of a 90-day plan that began with ​"a listening and learning tour,​" Torizzo said, including sitting with customer service representatives, walking through distribution centers and asking engineers about the tools they use to create content and develop software. The new model sets the stage for more business/IT collaboration and innovation. Torizzo introduced the company to the concept of robotic process automation (RPA). Then a small team of IT and business people investigated the RPA market, identified the best fit for HMH and selected an RPA vendor. The result: HMH now has two ​"digital workers​" (RPA bots) that can log into systems and perform repetitive tasks in, for example, the finance department. ​"Our goal is to get manual work off the plates of our employees so they can work on higher-level, more strategic, more critical types of work,​" Torizzo said. With a new IT strategy in place, Torizzo said she's ​"on the big hunt for people with a lot of business skills first, technology skills second — people who have had a foot in each camp and desire a place in IT.​"
Attracting that sort of hybrid business/IT professional is tough, though. ​"Those people are few and far between. The market is really hot. We're competing in the Boston area against some big names,​" Torizzo said. Plus, she said HMH recruiters have to overcome the company's traditional image as a book publisher. ​"We're getting the word out in the technology community that we are not just a publishing house; we're a software development company,​" she said. ​"We certainly do publish and ship a lot of books, but our future is in software, and that sounds a lot cooler in the technology scene.​"
In general, Torizzo wants to get HMH thinking and acting more like a modern company in the digital economy. For example, when IT was asked for system tweaks to help shorten phone calls with customers, she suggested a different approach. ​"We have to disrupt that kind of industrial thinking and, instead, make it so the customer doesn't have to call us anymore,​" she said. Now, IT is rolling out a self-service capability allowing customers to log in to the system to ​"figure out where their order is — is it a day away, is it outside the door, is it delayed, where is it?​"
​"That's an example of changing not just the way IT thinks,​" she said, ​"but changing the way that IT engages with all of our business colleagues — to think differently about solving problems and the customer experience.​"